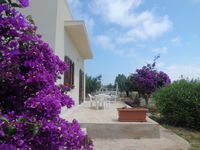 Villa Anna, lovely and comfortable apartment with sea views. Property 2: Villa Anna, lovely and comfortable apartment with sea views. "Island of Levanzo ... sun, sea relax !!!" Property 8: "Island of Levanzo ... sun, sea relax !!!" Property 11: Holiday house "Le Yucche"
Sea view villa w/ garden, terraces & BBQ - beaches in every direction! Property 19: Sea view villa w/ garden, terraces & BBQ - beaches in every direction! Property 22: House surrounded by greenery. Casa di Giorgio. Dimora tipica. Property 36: Casa di Giorgio. Dimora tipica. 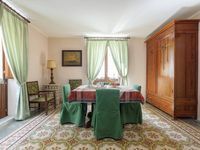 This is a wonderfully comfortable apartment in the absolute center of Trapani, spacious and equipped with all the necessary basics. The weather kept us from exploring far afield, but being the week before Easter, there was much local color to be seen in the city center, as folks prepared for the Good Friday procession of the Misteri. Giovanni recommended some very good restaurants and, in general, the food was spectacular. My husband and I stayed here for 4 nights in early October. The host was very helpful in meeting us outside of town to show us the way to the property. The home is light, airy and comfortable with a nice outside terrace. It is a good location midway between Trapani and Marsala .